Breakfast at the Chandlers – Moments. Minutes. Memories…..
A couple of weeks ago we decided to have the kids over for breakfast on a Saturday morning. I love mixing things up and we always seem to have them over for dinner. 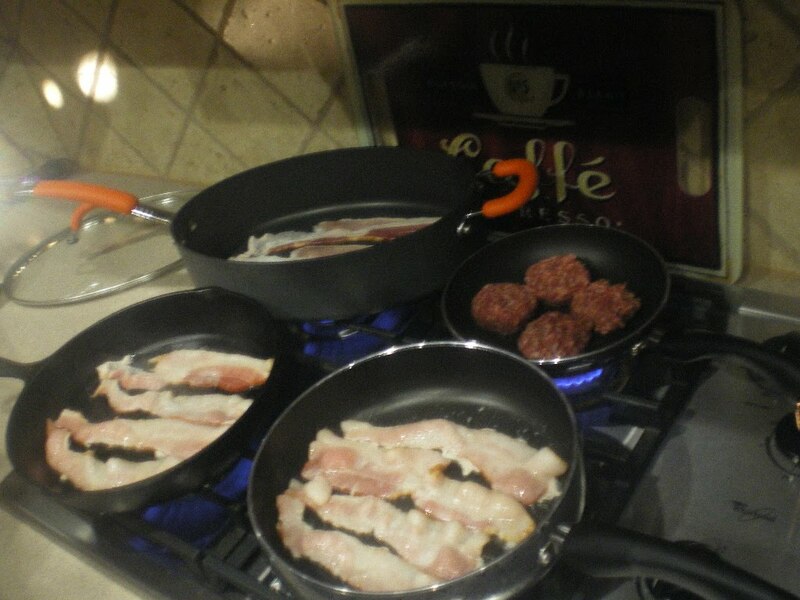 So Keith and I got up at 7 am and starting cooking bacon and sausage…..several pans going at once! 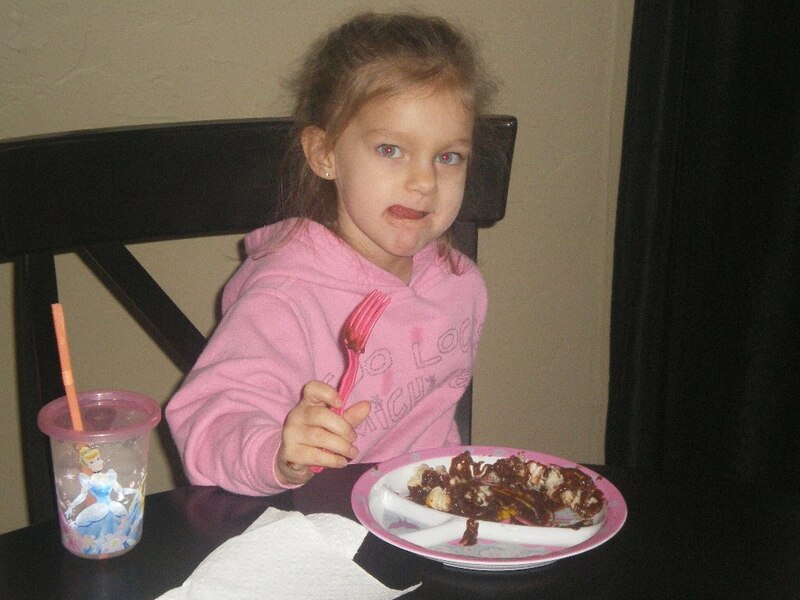 We also made chocolate gravy, sausage gravy, biscuits, scrambled eggs and french toast. I think there was something for everyone! It was fun to do something a little different and then have the morning and early afternoon to visit and play. The little kids love to play hide and seek with Papa and got a game going as soon as we were done eating. It is fun to listen to them count to 10….1,2,3, 10. Keith knows now that he has to hide fast because they are coming whether he is ready or not. When they find him they squeal and run. They even take turns hiding from him, but they all want to get in the same place and don’t usually fit. It’s a lot of fun watching them play this game. Of course a visit with the kids isn’t complete without a wrestling match and some horsey rides! We really enjoyed this and plan to do it again soon!